Thinking Of Waiting A Year To Enroll Your Child In Kindergarten? 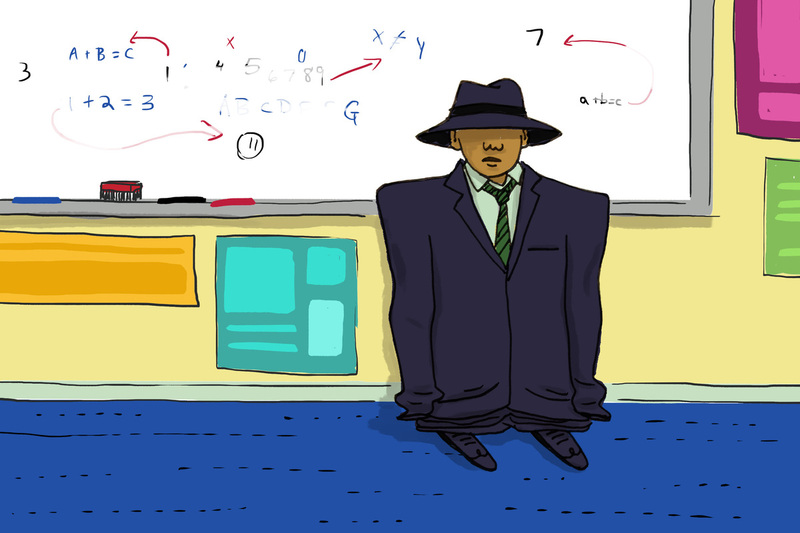 These Researchers Say, Don't : NPR Ed Academic redshirting, the practice of holding kids back a year before enrolling them in kindergarten, has been debated for years. A new article attempts to clear up some of the confusion for parents. When I was 4 years old, my parents faced a decision. My birthday is in late November, so should they send me to kindergarten as the youngest kid in my class? Or, wait another year to enroll me? — A practice referred to as academic redshirting. Since I was already the oldest sibling, they decided it was time for me to experience something different. So, they sent me to school. For me, the age gap didn't really matter until my freshman year at college, when I was only 17 and couldn't vote in the 2012 presidential election with everybody else. Feeling left out, I started to wish my parents had waited to put me in school. But, Diane Schanzenbach, an education professor at Northwestern University, and Stephanie Larson, director of Rose Hall Montessori School, have made me think twice. The two recently published an article on the emotional and economic toll that redshirting can have on students, despite all its praise from writers like Malcolm Gladwell. I spoke to Schanzenbach about why it might not be worth the wait. This interview has been edited for clarity. What about your article contributes to the research on redshirting that's already out there? I guess what I've learned is that it's really useful to put those things into terms that people can understand. I have found since I started working in this area, every couple of months I would get an email from some random parent somewhere saying, "I read Malcolm Gladwell and I was doing a Google search of things, so I just thought I'd write to you directly." And they'll ask these really intelligent questions. Even though kids won't start kindergarten until the fall, many parents have to decide now whether to enroll them. What should parents keep in mind before making their decision? Let me answer you with an anecdote. When Stephanie and I were writing — this was back in December and January — at the time, my daughter is finishing up preschool and going to start kindergarten the next year. We were not thinking about redshirting her, but the thought crossed my mind because she was not talking. It was very upsetting that she wasn't talking, and we had taken her to speech therapy and that didn't really go anywhere. She just wouldn't talk. And between January and today, some switch has flipped in her. Anybody who has kids can relate to that. But of course, it makes you nervous as a parent because you can't really predict what my kid is going to be like in September. Our advice is: As you're weighing these pieces, keep in mind the kid in September might be quite different from the kid in April. What seems to be the biggest reason that parents choose to delay their kids' enrollment into kindergarten? It really does seem to be emotional development. In the data you can see, clearly, that this happens most for boys who are born in the summertime to highly educated parents. They want [their kids] to be able to walk tall into a classroom, advocate for themselves, be an active participant in their learning. I want to tell the story of Julia from our church. She was so bright and so self-possessed. And she was just annoyed that the boys weren't behaving well enough. And for her parents to say, "Oh, we're going to redshirt her because she's short." You've got to be kidding me. There's nothing you're gonna do here to make her not short. These kids are going to drive her nuts. That's the piece that I really worry about. In the article, you write that redshirting can even have a financial effect on students — an $80,000 decrease in earnings. Can you elaborate on that? It is only one additional year in the workforce, but it was fun to do that calculation and see, how much money is that going to be worth? Every year, typically, you get a raise over time. You add up all of that, and [by the time you retire], you've just been in the labor force one [less] year. And that does add up. Often times when you see people talk about this issue, they'll talk about, "Oh, you should give your child the gift of time." And as an economist, I want to respond, "Actually, it's the cost of time." You're imposing an $80,000 lifetime cost on them by holding them back if it really doesn't improve their outcomes. In that case... Thanks, Mom and Dad.